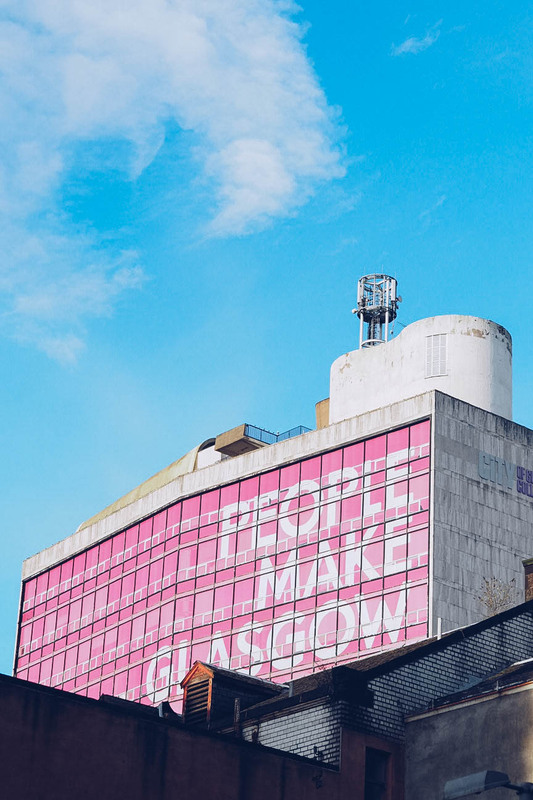 It’s fair to say that Glasgow has a bit of a ‘reputation’. What isn’t fair is the connotations that reputation often brings up. 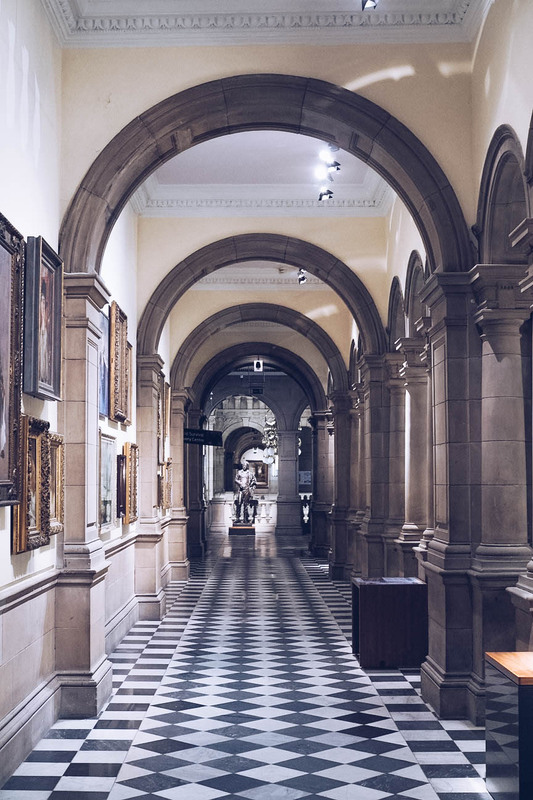 Scotland’s second city completely stole my heart on a recent visit, surprising me with its artsy vibe, incredibly friendly people, and delicious food. 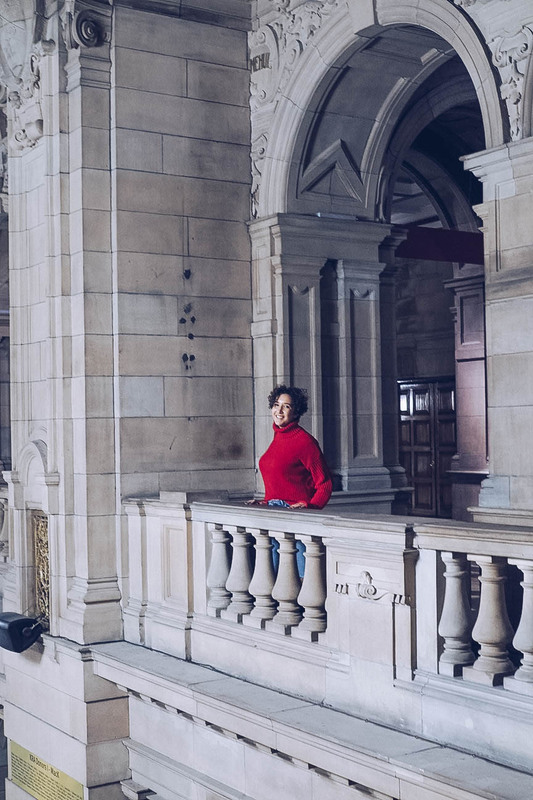 2018 sees Glasgow celebrate the Year of Young People, from highlighting their musical talents at the Celtic Connections Festival (which starts this weekend! 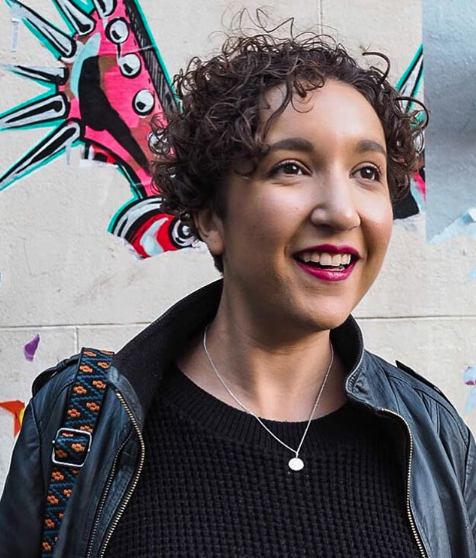 ), to showing the whipper-snappers that there’s loads for them to do throughout the city. If you arrived late the previous night as I did, there are worse places to wake up then the luxury of a huge comfy bed at the ABode Hotel*. 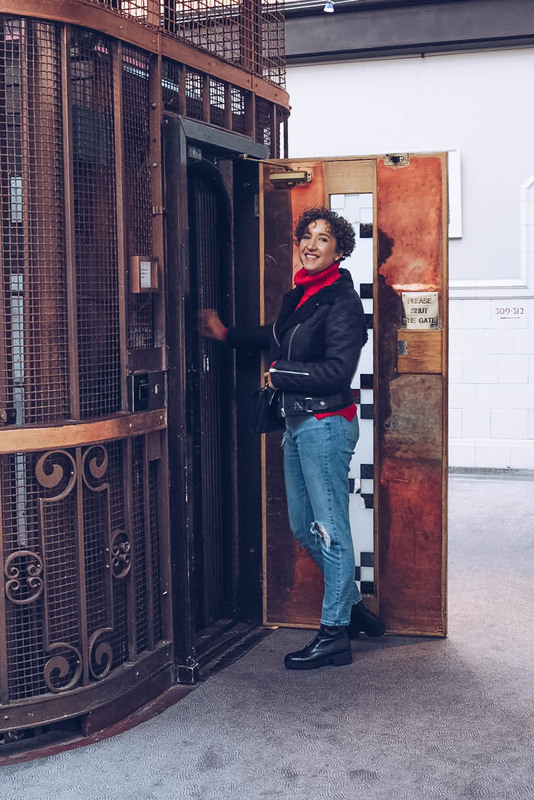 The building has a beautiful, grand elevator running through the centre of it, which gives a first insight into the modern opulence throughout the hotel. 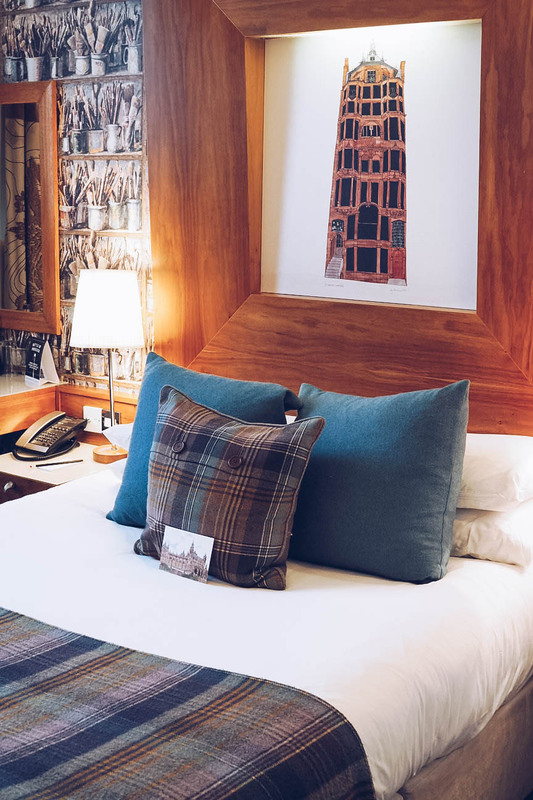 The rooms are proudly yet subtly Scottish in their decor, with paining of famous Glaswegian landmarks and varieties of tartan across the furnishings. 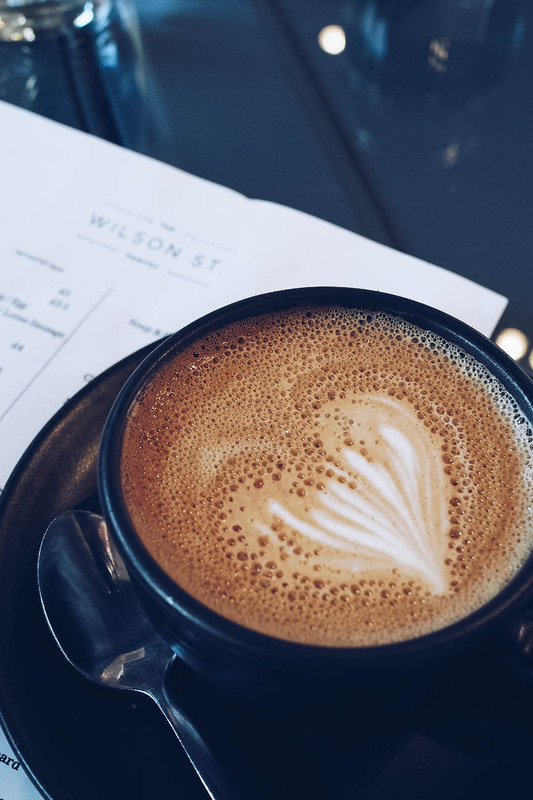 About 15 minutes walk (or 5 minutes in a cab) and into Merchant City is Wilson Street Pantry*, where a giant coffee helped me begin to set up my day in front of a giant window and some surprising Glasgow sunshine. 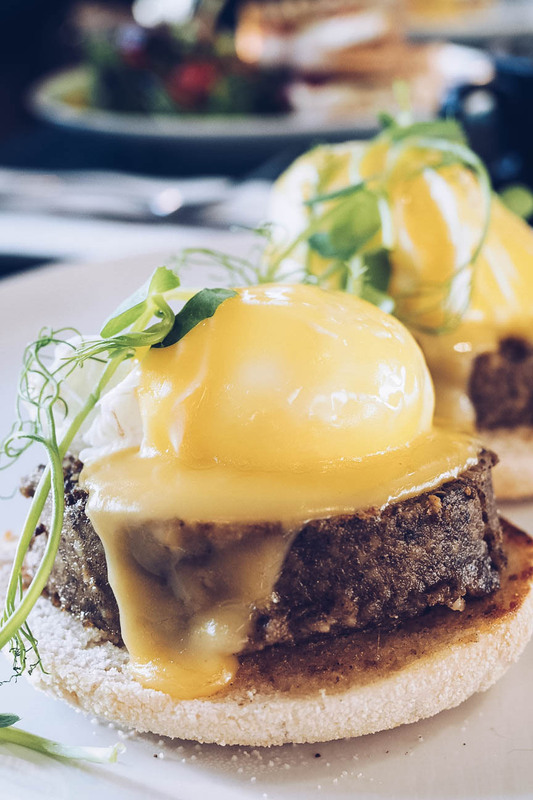 I ordered the haggis benedict, which was the perfect blend of brunch and Scotland, and seriously, what an absolute gamerchanger. Your standard situation but with thick slices of meaty, peppery haggis added onto the muffin. Simple and genius – I’m definitely trying this at home! 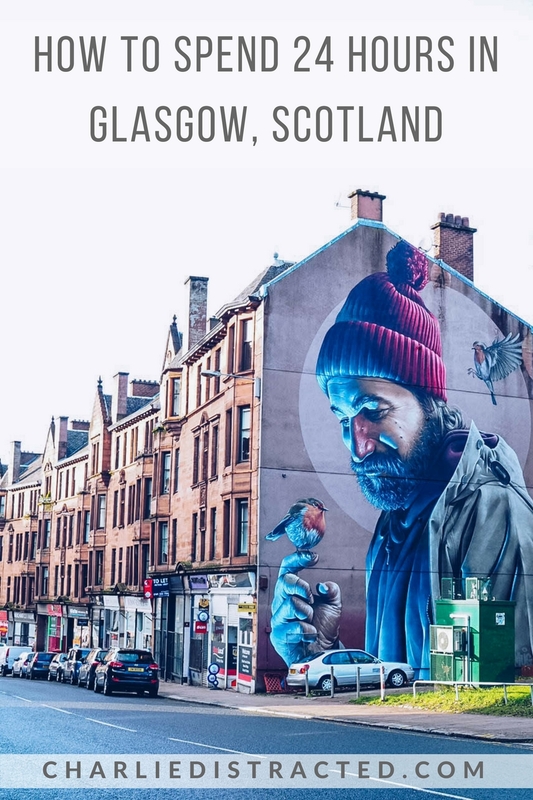 Glasgow’s street art scene has boomed in recent years, and if you love these sorts of murals as much as I do, you’ll be able to skip around the city with glee as you snap away. I did a walking tour with Photo Walk Scotland* in oder to find as many as I could in my short visit, and I was honestly blown away. 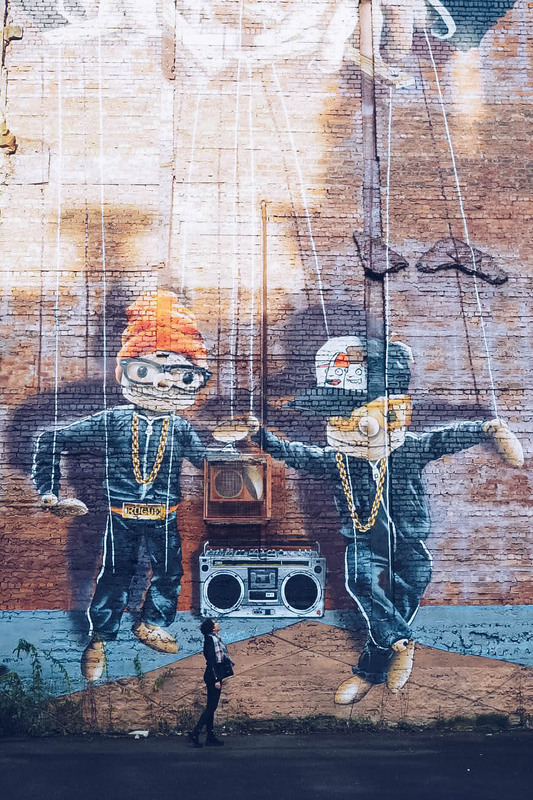 Local artists Smug and Rogue One dominate most of the large spaces but there’s a huge variety of styles, focusing on everything from famous faces (three new murals of Billy Connolly were recently completed to celebrate his 75th birthday) to social commentary and local symbolism. 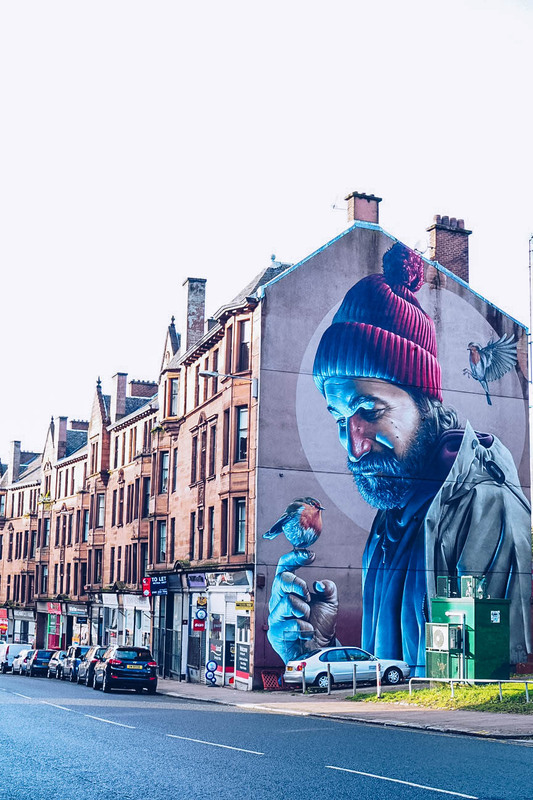 My favourite piece is a depiction of St Mungo holding a bird that he’s helped heal so it can fly again. Not only is there incredible detail in the painting, but the more you look at it, the more it tells you. Initially, he looks like he might be homeless, but on closer inspection, he’s actually wearing expensive winter wear, showing that he’s just wrapped up for the Glasgow cold. It’s absolutely stunning. It was thanks to numerous recommendations on Instagram that I found myself at Tantrum Doughnuts. Walking around in the almost freezing temperatures gave me the excuse I needed to order a hot butterbeer and a crème brûlée doughnut alongside it. 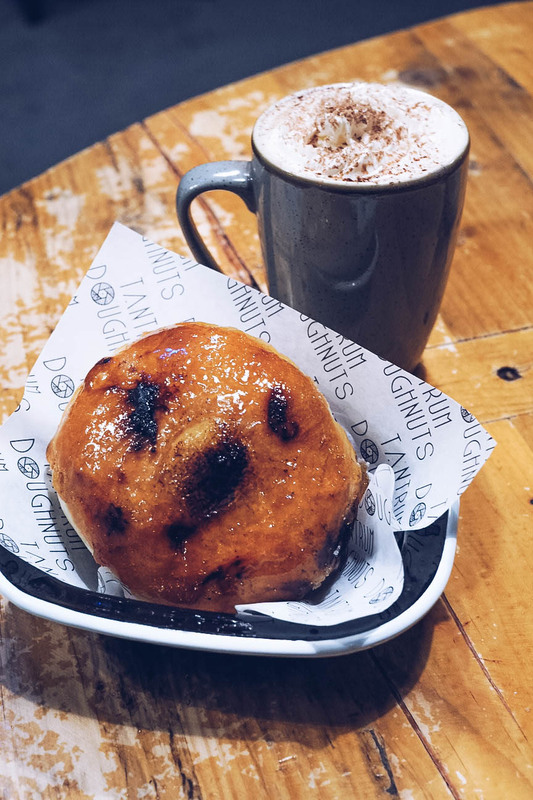 This take on Harry Potter’s favourite drink beats the Warner Brothers Studio Tour one hands down, focusing more on cinnamon than cream soda, and the doughnut is a damn good contender to my usual Crosstown Doughnuts version. The staff and fellow customers were super friendly as well! 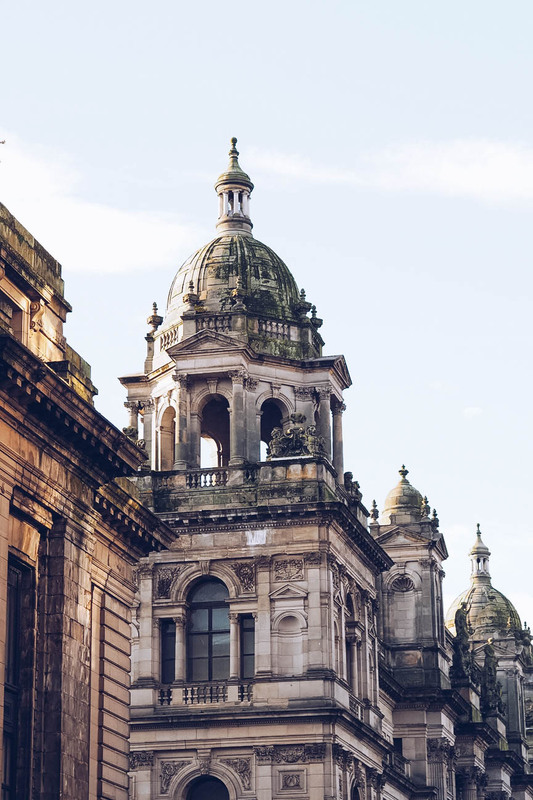 The Kelvingrove building is stunning, with terracotta red bricks and a grand entrance, with the inside boasting grand staircases leading to opulent balconies. 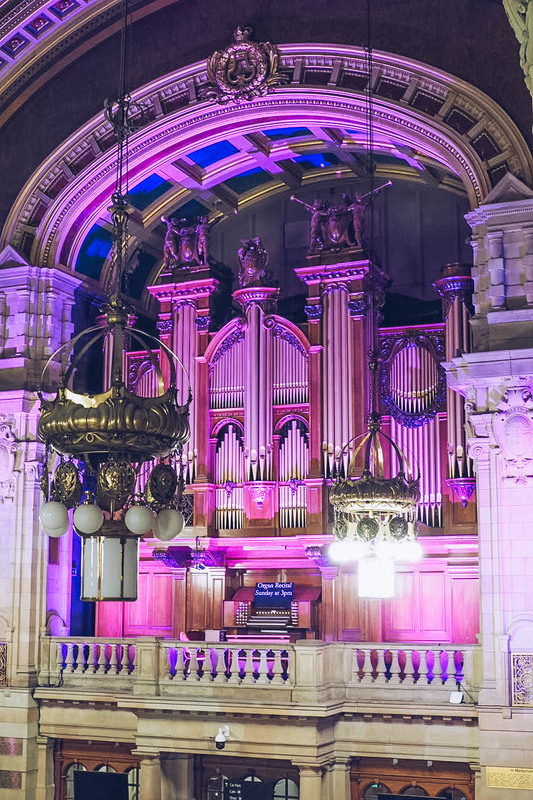 The main atrium reaches up to the heavens with beautiful chandeliers and a magnificent pipe organ that no doubt blows the socks off anyone lucky enough to hear it be played. 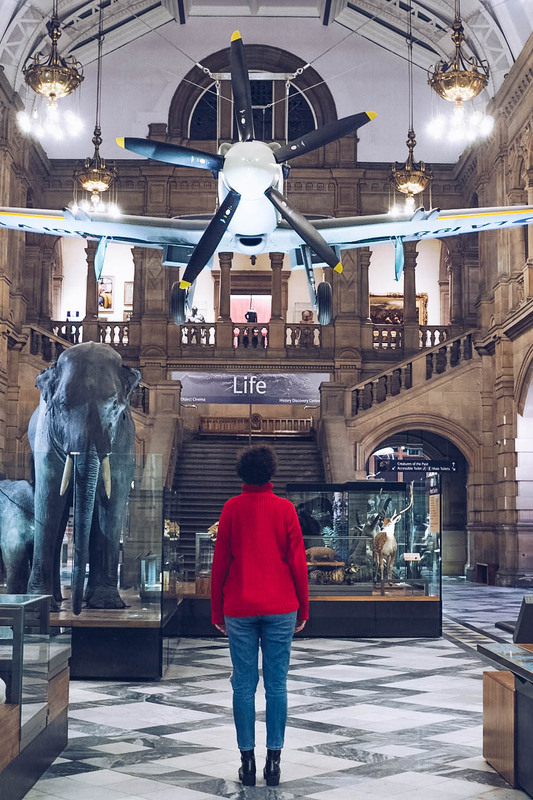 Beyond its impressive appearance, the exhibits of Kelvingrove range from modern art, a vast and fascinating natural history section, to the famous Rubens painting that was lovingly restored after being found on the BBC programme ‘Britain’s Lost Masterpieces’. 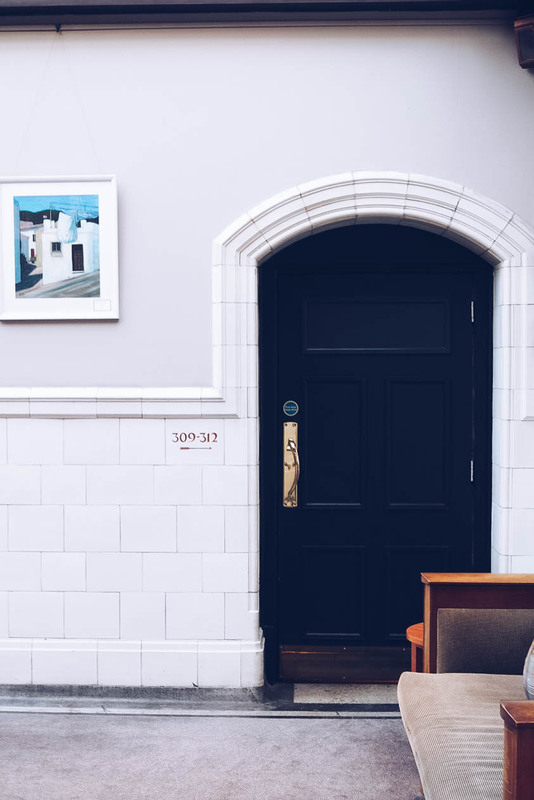 There’s also currently an exhibit dedicated to Glasgow-born Charles Rennie Mackintosh to celebrate what would have been his 150th birthday. 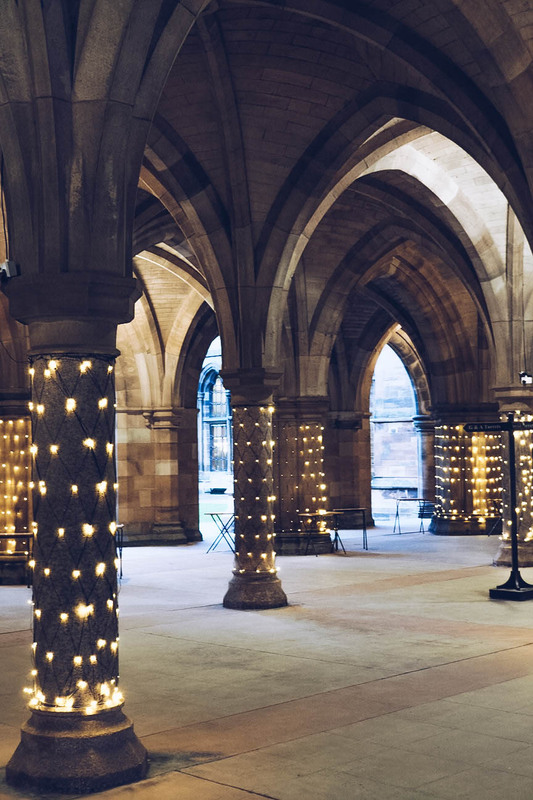 As the sun starts to set, make your way to the cloisters within the bowels of Glasgow University. 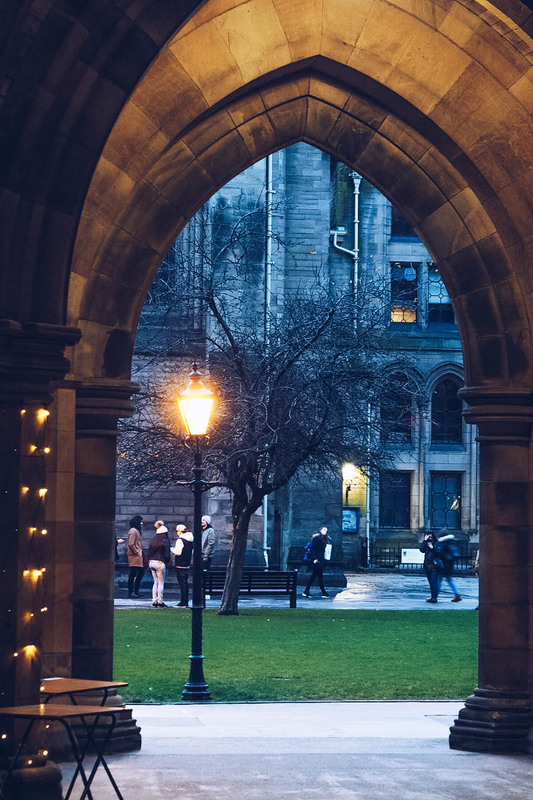 Any Harry Potter fan knows that nearby Edinburgh is the home to many of JK Rowling’s influences, but this area is believed to have inspired some of the film sets for Hogwarts. Decked out in fairy lights and only found by those dedicated enough to hunt it out, it’s a beautiful piece of serenity away from the fast pace of the rest of the city. Close by to the ABode Hotel is the down and (not actually) dirty Bucks Bar. Inspired by a Jack Daniels aesthetic with an Americana menu to match, it’s hidden below street level but that doesn’t stop it from packing out. 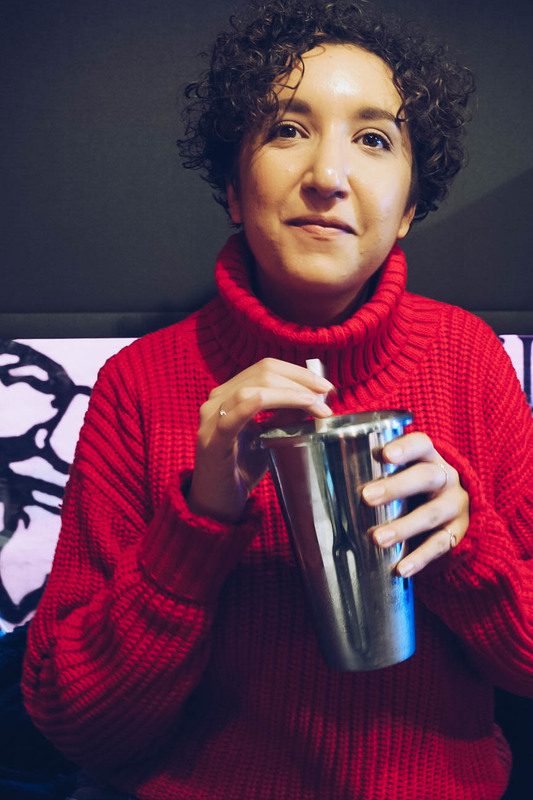 Charley and I tucked into concrete-thick chocolate milkshakes (with a shot of bourbon for good measure!) 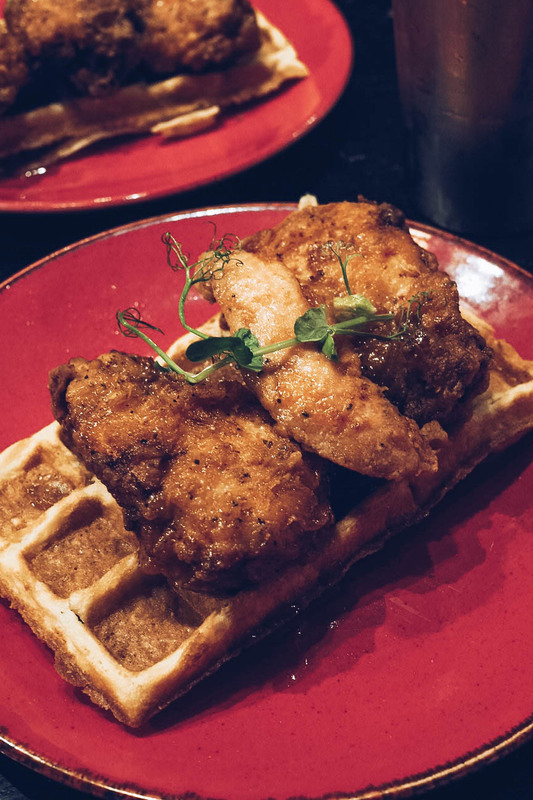 and plates of chicken and waffles with a good glug of maple syrup, whilst a rock-inspired playlist kept us entertained. 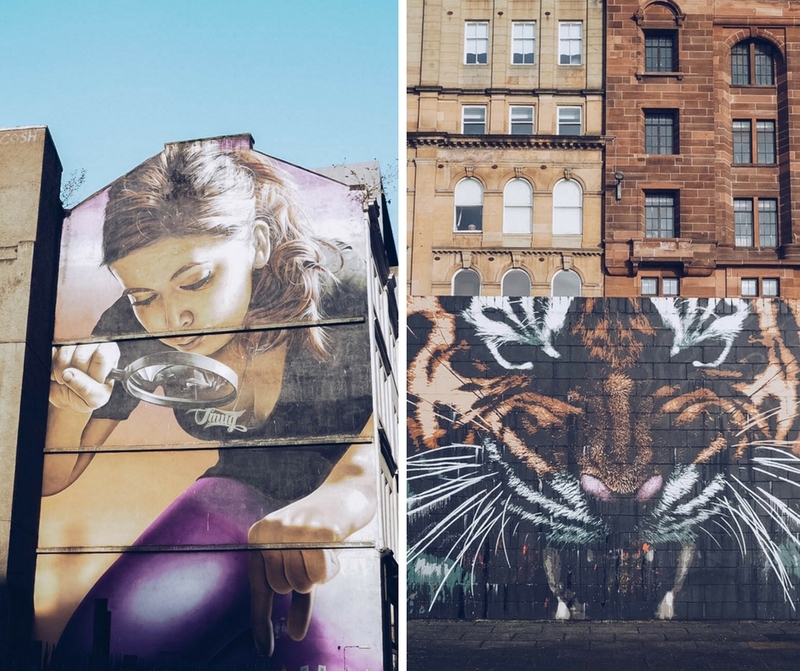 It may not have the ancient grandeur of Edinburgh or the immediacy to nature like Aberdeen, but Glasgow has spirit. 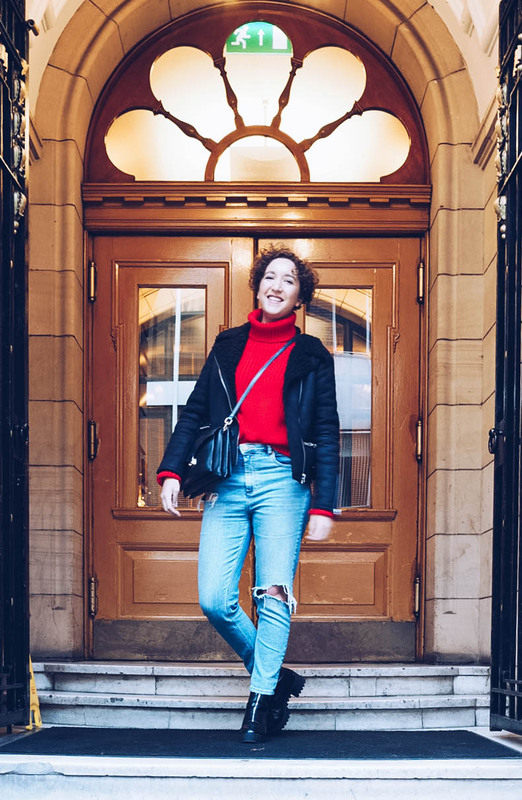 It’s the creative-thinker, the alternative-dresse, the Camden to your Mayfair. 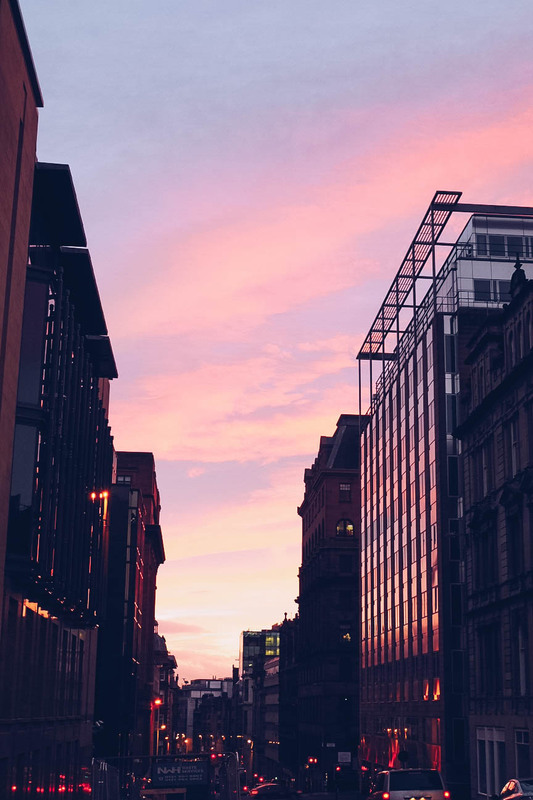 Glasgow bears its soul to all who visit and I’ll certainly be back for a dram in the near future. 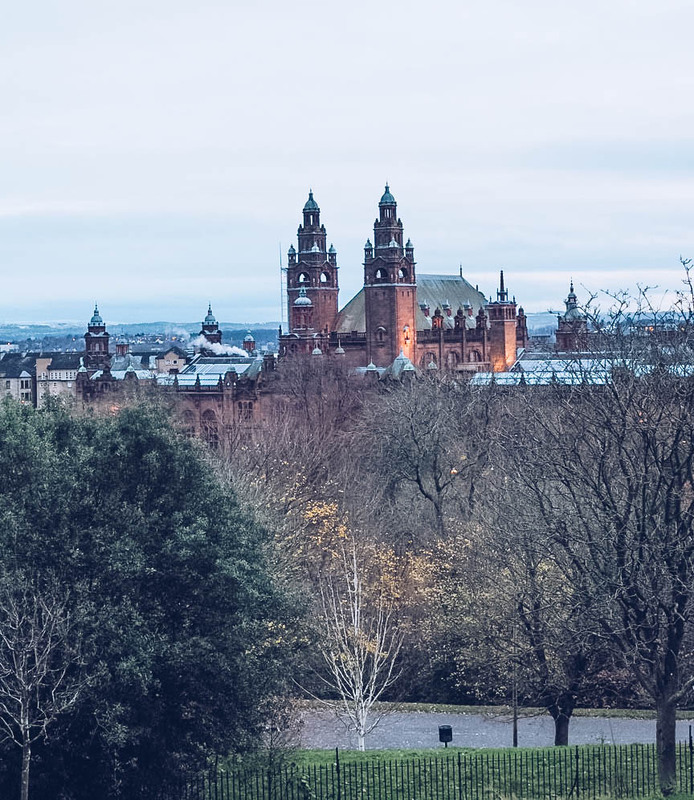 *I visited Glasgow as a guest of Visit Scotland and anything provided for a review is marked. All opinions are my own and I was not paid for this visit.